Amin loves football. He wears an A.S. Roma jersey on the back of which he wrote the name of defender Rudiger. A distant relative of the player’s mother lives in Amin’s village in Nigeria, so he became a catalyst for the boy’s dream of a better life. 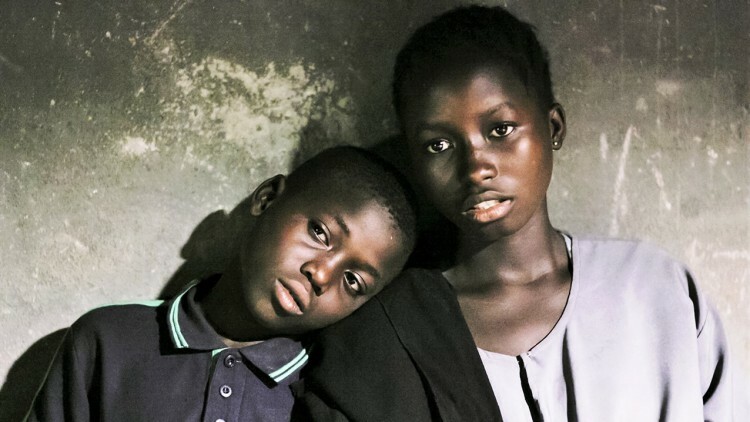 A life that got shattered when Boko Haram fighters raided and burnt down Amin’s village, killing his parents and siblings and leaving him no choice but to escape from rebel capture with his sister Isoké, the lone survivor of the brutal massacre. An elderly man shows them on a map where his children live in Sweden. Europe is merely an undefined dot, but it doesn’t look too far away. Amin and Isoké’s grueling desert trip towards a new life starts here.